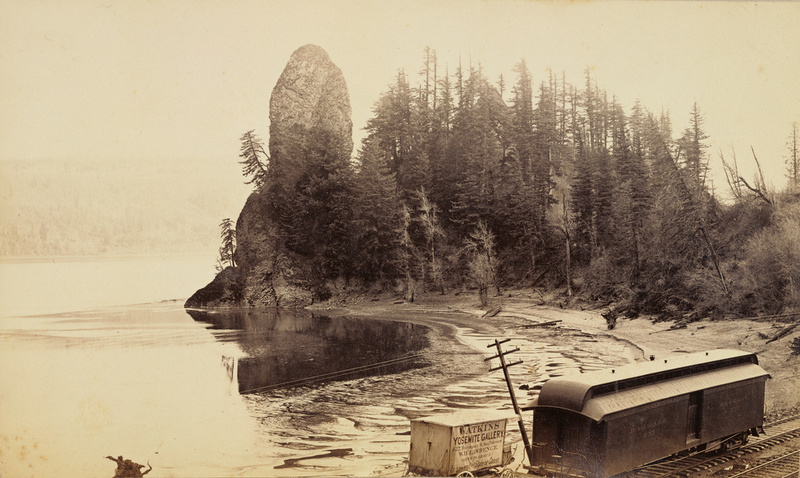 Nineteenth-century photographer Carleton Watkins is perhaps best known for his photographs of Yosemite, which inspired the preservation of this land and, later, the creation of the National Parks system in the United States. But his unusual life and tumultuous career is rarely examined. 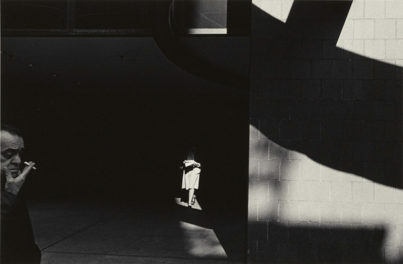 In this episode, art historian Tyler Green discusses Watkins and the impact of his photographs. Green is author of Carleton Watkins: Making the West American and host of the podcast Modern Art Notes. TYLER GREEN: He decides he’s going to be a landscape photographer. He decides he’s going to take this complicated gear out into the very dusty, very hot, very inhospitable West, and make a go of it. And boy, did he. 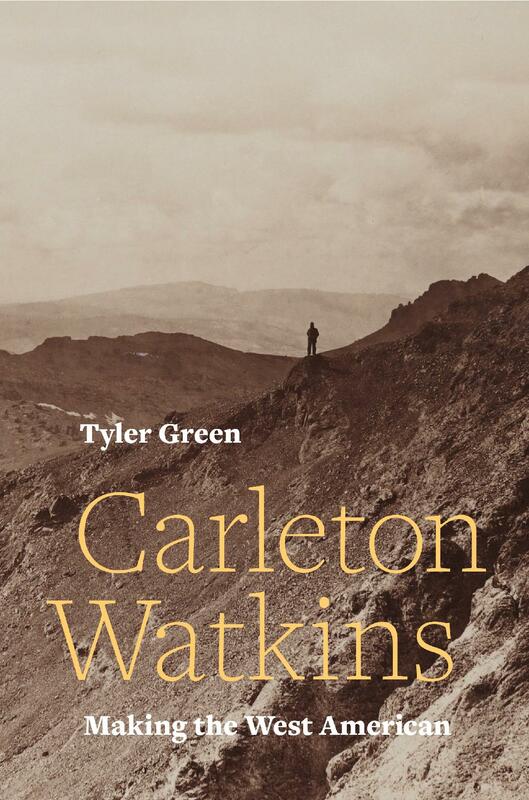 CUNO: In this episode, I speak with Tyler Green about his new book Carleton Watkins: Making the West American. The Getty Museum has one of the world’s greatest collections of photographs by the 19th-century American photographer, Carleton Watkins. Tyler Green, art historian, critic, and host of the popular podcast, “Modern Art Notes,” recently published a biography of Watkins, tracing the arc of the photographer’s career from his arrival in California in 1849 to his death in 1916. Along the way, Green considers the technical and artistic achievement of Watkin’s work, as it documented and in many ways created the image of the American West, from Yosemite in California to the Columbia River in Oregon and Washington. Tyler, thank you so much. It’s great to have you here. CUNO: Now, what drew you to write the biography of Carleton Watkins? Why now? GREEN: Well, there’re a couple things. First, the Christine and Weston’s book made it possible. CUNO: Weston Naef’s and Christine Hult Lewis’s The Complete Mammoth Plates. GREEN: It is a mammoth, enormous, scholarly undertaking, bringing into focus a figure who left behind virtually no textual documentation. Once the oeuvre had been put in place, as it were, it became possible. When I wrote as a critic, I was always interested in those places where artists not only engaged national histories, but impacted them and determined them. And there’s no better example, really, in all of American history, of an artist who’s had an impact on the nation than Watkins. Whether it’s through the Yosemite story and his outsized impact in bringing landscape conservation to the world for the first time at Yosemite, in the Mariposa Grove; in the development of the West, whether his involvement with business and finance, and where things like railroads and Eastern investment went; or later development, as California turns agricultural and his huge role in everything from court cases to the marketing of turning the desert into farms. CUNO: Now, you think that’s a story that most of us know or ought to know? GREEN: I think we know not nearly as much about Watkins as we should. I think Watkins tends to be overshadowed by Eadweard Muybridge. Something like seven biographies have been written about Muybridge. They were contemporaries. They knew each other as early as 1858. And Watkins’ career continues into the early 1890s. But Muybridge’s major impact is not in visual art. It’s in, you know, what became film. Watkins was, you know, unquestionably, the greatest and most important artist in the West of his time. In many ways, he was the most important American artist of his time. And to the extent he’s well known, it’s mostly for Yosemite, and deservedly so; but there’s much more. CUNO: Yeah. Yeah. That’s surprising to me because we do know the images of Watkins, without knowing much about the life of Watkins, without knowing much about his place in history—that is, history of California, the history of the West, photography history, artist history. Why is that? GREEN: The big reason are the two earthquakes. 1868, there was a huge earthquake in San Francisco that was really destructive; and of course, 1906. Watkins’ career runs from about 1858 to 1890, ’92. Just before the 1906 earthquake, his material—everything from daguerreotypes in his collection that he may or may not have made, to mammoth plate glass negatives, to pictures themselves, to his diaries, if he kept them, and all that kind of stuff was ready to go to Stanford. It would’ve been the first time an art museum in America had acquired photography as art, which Watkins was throughout his career, insistent upon his work being. And then, you know, two days or something before it’s going to be picked up in San Francisco and taken down the train to Stanford, you know, the great 1906 earthquake and fire happens and it all goes up in smoke. You know, as a result of the earthquake and fire, there are, you know, only a couple dozen textual documents by Watkins’ hand. Many of them are from a single 1880 trip to Arizona, in which he mostly writes home to complain to his wife about how damn hot it is. So he’s been, you know, shuffled under, as it were, because of that lack of textual material. And also, you know, there were artists who had an interest in his work not being known. I mean, Ansel Adams, for example, certainly knows Watkins’ work and includes Watkins’ work in a show he curated at MoMA in the 1940s. But it doesn’t help the Ansel Adams story for Ansel’s work to be a response to Watkins’. CUNO: Right, right. So what got you personally interested in this, and when did you start? GREEN: I grew up in the San Francisco Bay Area. And I sometimes say that in San Francisco, Watkins is a little bit like Pollock is in New York. He’s the founding figure, in a way, of the city’s rise; and Pollock is kind of the archetypal figure of New York’s postwar rise. And so in San Francisco, you see Watkinses all the time. I mean, they’re all over. You go to state parks and national parks up and down California, and they may not be credited as Watkinses, but you see ’em. So they’re part of the visual history of the thing. And so I’d always known about them. In 1999, SFMOMA, the Met, and the National Gallery did a retrospective, which is the last retrospective that’s been done of Watkins. I remember walking through that show and seeing places I’d hiked as a kid. CUNO: Mm-hm. So is it more about the places, the subject of the photographs, than it was about the photographs themselves, that attracted your attention? And over the course of a month or two going through it, it became evident, you know, here’s this figure I’ve always understood how important he was; I think this story could probably now be told, because that book makes it possible. CUNO: Yeah. Well, tell us about his early life. GREEN: Watkins grows up in Oneonta, New York, a town in the foothills of the Catskills, a town that was in kind of the first wave of American western migration at the turn of the eighteenth century, a booming agricultural hub. It’s only about ten or fifteen miles from the source of the Susquehanna River, which made it real easy to get timber and agricultural goods to market. Then the Erie Canal is built, and all of a sudden Oneonta begins a decline, which has yet to abate. So when gold is discovered when Watkins is, what, twenty, something like 5% of the men in all of the county leave for San Francisco. GREEN: There’s just this massive exodus out of these small rural places in the East that have been rendered obsolete by one technology or the other—the canal, the railroad, whatever. One of Watkins’ boyhood friends, I think five or seven years his senior, is Collis Huntington, the future railroad big four guy, whose nephew founds the Huntington Library in San Marino. Collis, who’s maybe the wealthiest man in Oneonta, New York at that point, decides to go to California, and agrees to take a few Oneontans with him. And Watkins, with whom he went fishing and played ball, was one of them. And then Watkins gets to California during the gold rush. He is literally, apparently, shuttling goods like boots and whisky from Collis Huntington’s general store in the foothills, to mining camps. He then works in a stationery story, a magazine store in San Francisco. His first ten years in San Francisco, he is just a grunt. He is not doing anything of significance. And then at some point, he is attracted to photography and figures it out. CUNO: Yeah. Do we know that? You say that— in the book, that he’s not interested in photography until 1856, when he was about twenty-seven years old and a magazine store clerk in San Francisco, as you just said. Tell us about how he first got introduced to photography and what we know about it. GREEN: We really don’t know. There is no textual documentation. There are no photographs on paper or daguerreotypes or otherwise that the field agrees is a Watkins, until we get to 1858. We’ll never know. I mean, unless documents are found, which seems pretty unlikely. We don’t know what got him interested. We know that in the mid 1850s, he works for at least one portrait studio—I mean, literally taking baby pictures—in San Jose. And then we have him, in 1858, you know, in a court dispute around a mercury mine—what was then called quicksilver—outside San Jose, making two pictures which are joined together as one, for a court case that tries to determine where the property boundary is. It’s the first time in American history where photographs of the outdoors, photographs of a landscape, photographs of something other than mere textual documentation is accepted as evidence in a court case. So his first importance is as a legal pioneer. And then we don’t have him getting another job for almost two years. CUNO: Wow. Well, who else was taking photographs in San Francisco at the time? GREEN: Photography studios ran rampant in San Francisco. They were all over. CUNO: Because of the gold rush or—? GREEN: Yeah. You know, it was, as people would later, during the Civil War, you know, people wanted to send home pictures of how they were doing when they were so far from home. We know he worked for one photography studio down in San Jose. I mean, just literally taking portraits, the kind of simple mass-markety stuff. What really differentiates him from everybody else making pictures in the West at the time is he decides he’s going to be a landscape photographer. He decides he’s going to take this complicated gear out into the very dusty, very hot, very inhospitable West, and make a go of it. And boy, did he. CUNO: Yeah. One of his earliest photographs was a two-part panorama of such a subject as you just described, a silver mine in Santa Clara County, south of San Francisco. What were the circumstances that led him to that particular spot for that project? GREEN: He worked selling magazines and stationery. He worked in this store, in this building called the Montgomery Block, which was the most important office building in downtown San Francisco. All of the wealthiest people and all of the most important attorneys in San Francisco would walk right past Watkins every morning, on their way to work. And at some point, when one of those lawyers realized that photographs might help him prove his land claim case about where a property boundary was, he thought of this guy he’d seen every morning walking into work, Carleton Watkins, and asked him to go make pictures down in San Jose. As far as the picture, or two pictures made into one picture, that Watkins made there, we do have some textual evidence there from the court transcript, where Watkins is asked, “Who told you to make the picture the way you made it,” and he said, “I did.” Which is the perfect answer in the court context. It was his way of saying, I may have been hired by one side, but I determined the view, and you can trust me. And it was an infamously corrupt case, as court cases tended to be in California then and for another couple decades, so we don’t know whether Watkins’ picture or pictures determined anything. But it definitely got him off and running. CUNO: Yeah. Well, two years later, he’s taking photographs in Las Mariposas, land owned by the US Senator and aspiring US president, John Fremont. How did Watkins find his way there, and in just two years, from that court case to that time? GREEN: So the attorney who hired him, who brought him in for the quicksilver mine case outside of San Jose, was a guy named Frederick Billings. Billings is one of the great under-known figures of the American West in nineteenth century business. Billings came to San Francisco, like so many people did in ’48 and ’49, with nothing. And without really having been to law school, decides he’s a lawyer. Puts out a shingle, and suddenly within a year, he’s essentially the attorney general of the state. And at this time, you know, the Fremonts are the most— not just the most famous people in California, they’re the two most famous people west of St. Louis. Jessie Benton Fremont had been the strategist of John C. Fremont’s 1856 presidential campaign. She had essentially, we now believe, cowritten all of his books. And of course, the pathfinder himself was the guy who opened up the West to white America, and who had run for the— you know, and received the Republican nomination in 1856. So this is four years later, and the Fremonts are trying to make the gold mine into a going thing. And they do. It’s, for a time, the wealthiest gold mine in the world. And so Watkins makes these pictures. And these pictures are shown in New York and Paris and London, to potential investors. It’s, so far as we can tell, pretty much the introduction of the American West to Europe. GREEN: And most importantly, he and Jessie get along really well. CUNO: Yeah. So how is it possible that he gets the equipment together and he takes the equipment with him out to the dusty foothills of the Sierras, takes the pictures, prints the pictures, gets the pictures into New York? How’s that whole process happen? GREEN: Pretty amazing, right? He must have gotten really good at packing chemicals in glass. So these glass plates are, you know, a pound and a half, two pounds each, at this point. The ones he would take to Yosemite a year later would weight four or five pounds each. You know, we’re talking hundreds, if not thousands of pounds of gear. We know that when he starts going to Yosemite, he has people helping him. Somehow he has access to capital to enable himself to invest in his own business. But in 1860, it was probably money from the Las Mariposas estate or from Billings himself, who was— Billings was a photography nut. CUNO: Was it a lot of money? Would it have taken a lot of money to do that? 00:19:03:05 GREEN: [over Cuno] It would’ve been really expensive. It would’ve been really expensive. It would’ve cost, you know, kind of like a year’s salary for a working man. I mean, it would’ve been very expensive. Watkins is in, for the Las Mariposas job, using a commercially-available camera. California was infamously dusty. It was very hot, it was very dry, especially in the foothills, and there was just dust everywhere. And if you’re making photographs on glass plates, the one thing you cannot have on that glass plate is dust. And you can see in those early 1860 pictures, that he’s still figuring out how to do the things. They are little spots, there are little specks of dust, there are little problems. CUNO: Did Fremont own part of each photograph that was taken? What was the commercial arrangement? GREEN: [over Cuno] Not in the way we think of today. We don’t know the exact details of the relationship. Billings was almost certainly the guy who hired Watkins, not John C. Fremont. Fremont was a photography buff. Fremont almost certainly would’ve been very interested in what Watkins was doing. Fremont, from his very first expedition in the West, bought photographic equipment. But Fremont being Fremont, didn’t bother to learn how to use it. So he drags it around the West, without knowing how to use it. So the pictures were purchased by the estate, and then as people like Billings traveled to New York and Paris and London to raise money, they had them to show. And then later in Watkins’ career, he sells them from his gallery. CUNO: So what’s the attraction of Yosemite? GREEN: Oh, this is a big story. We think of, today, the attraction of being Yosemite that’s a beautiful, dramatic landscape, and that’s why we go. And Californians do that in the 1850s. It’s part of the reason that Native Americans were murderously run out of it by a state militia early in the 1850s. But for that entire first decade that Californians knew Yosemite was there and knew how—or had read, or could read about—how spectacular it was, they didn’t go. The beauty of the place did not motivate people to take the two- or three-day trip from San Francisco. Yosemite becomes prominent because some very smart Eastern-educated Republican Unionists in San Francisco ally Yosemite with the great tradition, with the great Northern cultural tradition of landscape. And that’s what gets Yosemite over. And Watkins is at the very heart of that. CUNO: Yeah. And how is that made known to the public? In other words, these photographers, Charles Leander Weed and Watkins, take photographs there and they make their way to the market. Is there already a kind of literature about Yosemite that puts it into context? GREEN: [over Cuno] Weed’s pictures, when they’re exhibited, don’t generate much attention or interest. I think they did win a medal at a state fair or something, but the press coverage of it was pretty lukewarm. So Weed’s stuff didn’t really land. What first gets Yosemite over in California are two competing churchmen. One a Southern old-school Presbyterian named Reverend William Anderson Scott, who was a slaveholder in New Orleans, who was allied with California’s dominant Democratic pro-slavery ruling class. He contextualized Yosemite to the people of California as kind of a manifestation of Biblical truth. Very austere, very cold, didn’t really work. Starr King, who is one of America’s first, I guess you could— Well, one of New England’s first, I guess you could say, popular intellectuals. Starr King’s every mental and creative flowering is chronicled in the Boston newspapers of his time, both when he’s in Boston and when he comes West. He’s a very famous guy. The moment he arrives in California, he is the most significant intellectual ever to live in the state. Even more significant than Jessie Benton Fremont, who was no slouch. Starr King had written a book in New England called The White Hills. It was a book that took Ralph Waldo Emerson’s ideas about nature and attached them to a specific landscape, and kind of merged it with art criticism and poetry criticism and guidebook. Spectacularly popular book. Went through something like ten or eleven printings. Starr King comes to California, not just to spread Unitarianism into California, but to try to hold onto California for Unionism, for anti-slavery, for republicanism. And so Starr King goes to Yosemite and begins to preach about it, begins to talk about it in lectures around San Francisco and Sacramento. And then at the end of 1860, writes eight landmark essays, 20,000 words in all, about his trip to the place, in Boston Evening Transcript, which are— is by far the most important literature of Yosemite ever. CUNO: And it has a role to play in the fate of California as— whether to be a slave-owning state or a non-slave-owning state. And how does that happen? GREEN: One of the most under-known histories in the West, and all of American history, probably, is how close California came to going the wrong way in the Civil War era. In the 1850s, California politics and business were dominated by Southerners. California political allegiances throughout the 1850s are entirely with the South. Throughout the 1850s, pro-slavery Democrats are trying to find ways to allow slavery and slaves into California. So in 1860, as, you know, we get to the great moment of national calamity, the Republican party in California is the most after-thoughty of afterthoughts. In the last statewide election before the election that gives us Lincoln, California Republicans earn just 9% of the vote. Their candidate’s name is misspelled in contemporary newspapers. They refer to him as Sanford. He was, of course, Leland Stanford. I mean, Republicans just did not have a shot. They could not compete on policy. So a friend of Lincoln’s from Illinois, who had come to California, in part, to found the Republican party here, realizes that the only way Republicans—and by this point, Unionists and anti-slavery types and abolitionists; Starr King was all of those—can compete is by competing on culture. It’s kind of the original, one of the original, American culture wars. And so this friend of Lincoln’s—his name’s Edward Baker—gives a speech nine or ten days before the 1860 election, “You should vote for Lincoln and Republicans because you don’t want to ally with the South. And you don’t want to ally with the South because they don’t write the nation’s poetry; they don’t write the nation’s history; they don’t make the nation’s art. Don’t you want to contribute something more to this country than just supporting a slave power? Don’t you have aspirations to participate in these things the North produces?” And against most odds, the theater in which he gives this speech, goes nuts. And Thomas Starr King, who’s sitting in a private box with Jessie Benton Fremont—because they were— they were quite a pair, nudge, nudge—looks at Jessie and says, “Wow, I wish I could move men like that.” And Jessie says, “You can.” You know, it’s one of those little cinematic moments. And Starr King realizes, prompted by Baker, that if we can’t win on policy, we can try to build cultural bonds between the North and the West, and keep California in the Union and election Lincoln that way. And so I call that cultural Unionism, because political Unionism wasn’t working for California at that point. I mean, it wasn’t gonna work, probably. Every statewide elected official, all California’s senators and house members, supported secession. Not to join the Confederacy, but to create an independent Pacific republic, aligned with the Confederacy. And so Starr King comes up with this program of cultural Unionism that seeks to ally the West with Northern culture. And his writing about Yosemite is part of that. Watkins going to Yosemite is a big part of that. Poetry exchanges between the regions during the war are a big part of that. And it works. CUNO: Yeah. What does Lincoln do about Yosemite? GREEN: So Starr King’s eight essays about Yosemite are published in the Boston Evening Transcript, the major newspaper of New England, as seven states secede in ’60 and ’61. Watkins can’t immediately go to Yosemite ’cause there’s snow in the way. So he waits for the snows to thaw, for the roads to become passible, and he goes in the summer of 1861. Those pictures are first exhibited in New York in December of 1862, just as the news of the disaster of the Battle of Fredericksburg is arriving in New York. Low moment of the war for the Union. And then in early 1864, Starr King dies. I think he was thirty-nine. We don’t know for sure, but he was probably tubercular. And three or so months before Starr King died, a group of San Franciscans, mostly living around Montgomery and California Streets—which was the power intersection of the West at the time, the main intersection in San Francisco—had begun to think about how great Yosemite was and how it could be, you know, what we would now call conserved in some way. And this is a totally new idea. They made it up on the fly. There is one letter written by a shipping executive, a steamboat, steamship executive, to Senator John Conness, the Union Democratic senator from California, and a close friend of Lincoln’s. But nothing seems— Conness doesn’t move on the idea right away, and it just seems to sit there for a while. And then Starr King dies, which is a great blow and surprise to everybody. Starr King, by this point in 1864, has received all the credit for keeping California in the Union, for willing California for Lincoln, and then for being really the single largest fundraiser in the entire country for the US Sanitary Commission, the Red Cross of the day, that tended to Union, and often Confederate, battlefield wounded. Starr King dies, and Frederick Billings, who I mentioned a few moments ago, just happens to be in Washington. He’s trying to get, probably, a position in a second Lincoln administration, a cabinet secretaryship. And he’s also, you know, doing what wealthy men have done now and then; you know, going and lobbying. And so Billings is there, wakes up in his hotel room at the Willard Hotel, which of course, is still there, gets his newspaper and reads that Starr King has died. And he’s overcome. He’s so overcome that the letter he writes to his wife about Starr King’s death appears to have some tears that have landed on it. I mean, those little water things could also have come from rain outside, but I like to think they were tears. And immediately, the Yosemite bill moves through the Senate and the House. My read, my take, is that Starr King’s death motivates congress to act almost as much as Watkins’ pictures motivate them. Lincoln seems to have seen the pictures, almost certainly, in June of 1864. And on June 30th, at another very, very low point for the Union in the war—Sherman has not even made it to Atlanta, let alone begun to march to the sea, and Grant is getting slaughtered by Lee in Virginia—Lincoln, desperate for reelection at a time when his reelection campaign is going very poorly, signs a series of bills over about six weeks, to try to shore up his support in the West, try to shore up the West’s ten or twelve or thirteen, depending on if they could get various states admitted to the Union in time, electoral votes. And one of those bills is this bill. And it’s not done because there was any mass movement to conserve Yosemite. It’s a product of elites—cultural elites, artistic elites, a couple of business elites. And Lincoln signs the bill in June of 1864, which in the custom of the day, grants the land that is now Yosemite to the state of California. There’s no federal apparatus to manage land, to manage park land or any other kind of land. This is how we get Land Grant Universities, for example. And so the State of California is happy to receive this, but has no idea what a landscape set aside for, quote, “resort and recreation” is, means, should be. How to administer it, how to let people go there, why to let people go there—they just don’t know. By pure happenstance, by mere fortune, Frederick Law Olmsted, who had thought more about landscape and parks than anybody probably in the world at that point, happened to be living in California. He had been running the US Sanitary Commission, to which Starr King was the major donor/organizer. And he was running the Las Mariposas gold mine we previously discussed. The Fremonts had sold out, and the group of investors that had bought it had hired Olmsted. And the gold mine had pretty much gone bust, no fault of Olmsted’s, more or less, and Olmsted just really didn’t have much to do. And so when the state asked him to figure out what the heck this new thing was, for Olmsted, this was the best possible thing he could work on and think about, ’cause he’d been thinking about it in other contexts for years, and he jumped in. CUNO: Yeah. Can we document that there was a role that Watkins’ photographs played in this political development? GREEN: We know they were seen in New York and Washington, and written about up and down the East Coast. Senators mention having seen them, and we think Lincoln— or we’re pretty darn sure Lincoln saw them. CUNO: Is there any in the collection of the White House? GREEN: Ah. So when Lincoln is shot in 1865, Andrew Johnson ascends to the presidency. Johnson was a notorious and much disliked figure, and could not earn renomination, either from his party, the Democratic party, or from the Republican party. Johnson was not happy about any of this. And when he leaves the White House, not only does he not stick around for Ulysses S. Grant’s inauguration, he, in a fit of pique, basically takes back to Tennessee with him, everything that’s not nailed down. So for decades, in the Johnson home in Greeneville, Tennessee, there were four or five or six, or I forget how many, Carleton Watkinses hanging on the wall. Typically when Watkins made pictures in 1861, he mounted them on this very thick stock. And the 1861 pictures in Greeneville are on very thin stock. This was probably so that they could be rolled up for shipping. Shipping was much harder during the Civil War than it was at other times, for obvious reasons. Quite possibly or quite probably, you know, 75%, if we wanna put it in numbers—those four, six or seven, or whatever the number is, of Watkins— 1861 Watkinses at the Andrew Johnson house in Greeneville, Tennessee were the pictures Lincoln saw. CUNO: Wow, yeah. Now, what about William Brewer? And what was his relationship in these early years of California Geological Survey? What did this all mean for Watkins? GREEN: There is this moment in very late antebellum California, that Starr King is a part of, which is where California begins to realize it has to grow up; that it’s not enough for the state—indeed, for the West—to be merely a mining camp; that it wants to be a continuing concern. And as part of that, California starts the California Geological Survey, and hires Josiah Whitney to run it. And Whitney hires Brewer to be his number two. These were two young American scientists, kind of in the second generation of American science, two young guys on the come up. And their job is to figure out what is there in California that will attract people and business. Everything from ore to timber to just what we could learn about the geology in 1860 that might inform business in 1875, you know, as research continues. CUNO: Was it also a scientific endeavor? GREEN: Yes. Yes. You know, they were trying to find out what plants were there. The state’s interest was in what the scientists could learn that would create opportunities for business; and the scientists’ interests were a little broader. The scientists’ interests were in part, broader because the scientists knew the survey wouldn’t last forever and that their next jobs would be at universities in the East, and that they needed to have some science with which to apply for the job. CUNO: [over Green] And from the beginning, was photography an important part of it? And therefore, was Watkins an important part of it? GREEN: [over Cuno] Not at— not at the very beginning. I mean, they were all wowed by Watkins’ pictures. These were the largest outdoor photographs in the world at the time. Everybody was wowed by them. And the scientists quite quickly realized—Brewer first—that Watkins’ pictures could help them communicate what they were seeing with their peers back East. I mean, it’s hard to overstate how little the Eastern establishment, whether it’s science or business, knew about the American West. At one point, Brewer writes a letter to Gray and says, “I’ve just seen Mount Shasta. And wouldn’t you believe it? Not a damn thing lives above about 8,000 feet. For 6,000 feet, there’s nothing alive.” And Gray writes him back, you know, this very tut-tutting letter. He says, “I’m sure you must be mistaken. And I don’t want to ruin your reputation, so I won’t say anything about this to anybody.” I mean, they just don’t know. GREEN: And so Brewer and others, but particularly Brewer and Whitney, start sending Watkinses back to the East by the bushelful. And before long, Easterners want to buy them by the bushelful. CUNO: Yeah, yeah. Now, how was his photography, as photography developing at this time, well, technically and aesthetically? GREEN: The most important thing he does as a photographer is he designs, and almost certainly builds himself, in 1861, the largest camera for outdoor use in the world. And I think it remains such until 1867. So he was way ahead of everybody. And the reason he does this is not because he’s responding to the enormity of Western landscape. But it’s because he wants to compete with painting. He wants to engage with the highest art form at the time—especially in the North, given the whole cultural Unionism thing—which is painting. CUNO: He even framed his pictures that way. GREEN: And he frames his pictures. 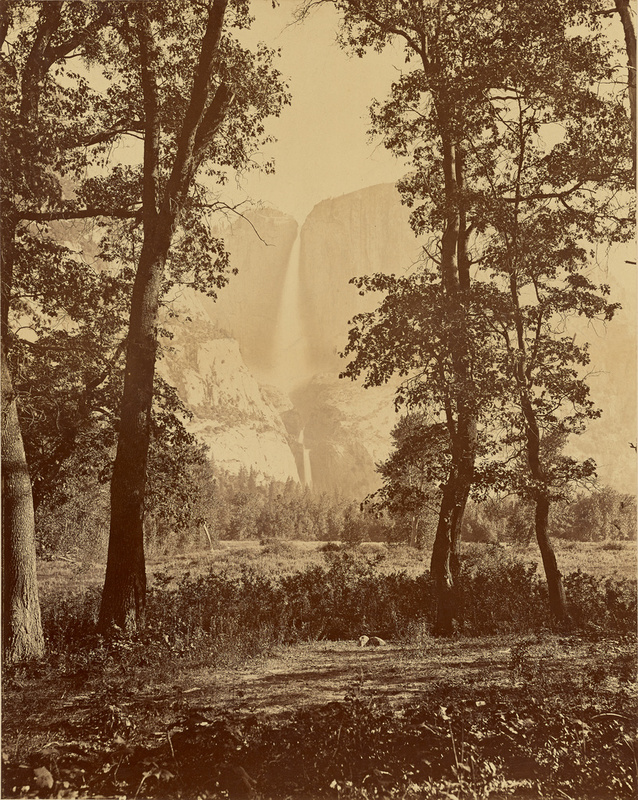 You know, that amazing moment in 1862, when Watkins’ Yosemite pictures are first seen in New York, they were installed at a gallery whose papers are here at the Getty. CUNO: Yeah. Which was a painting gallery. GREEN: Was a paintings gallery, plus Watkins. And this gallery was more or less directly across the street from Matthew Brady’s gallery in New York. So at Brady’s, you would go and you would look at the Antietam— famous Antietam pictures, for example, from the Battle of Antietam, and you would, you know, look down into a glass case. Watkins’ pictures, which were, you know, many times larger, were hanging in frames in a wall, just like paintings were. So the first important thing Watkins does is this much larger camera that enables him to compete with paintings. The second thing he does that’s important artistically is he puts them on the wall. He’s informed by other painters, in his compositions and in his references. He’s particularly informed, I think, by Emerson and Emerson’s call for Americans to build metaphors out of landscape; out of American landscape, not European landscape. And during the Civil War, artists—mostly painters, but also Watkins—build landscapes into metaphors for Unionism. And poets do the same thing. GREEN: And Watkins’1861 pictures really, really very much read like that. CUNO: Was he technically innovative? GREEN: In the size of the pictures, most. GREEN: His technique was so good that once the Transcontinental was in place, that photographers from other parts of the United States would come to San Francisco to meet him and to talk with him and to learn how he did it, how he made such technically perfect prints. But we don’t really know very much about how he either worked in the field or made prints in his studio, because 1906. CUNO: Right. Well, we’ve talked a lot about his role as a photographer of the natural landscape. But he was also a photographer of the industrial landscape. That is, the industrial landscape in the landscape itself, like the Oregon Steam Navigation Company and the Willamette and Columbia Rivers and the promising city of Portland. Was he sought out by them, or did he seek them? GREEN: [over Cuno] Yeah. He was. One of Watkins’ early enablers was the most important businessman in California, a guy named Billy Ralston, founder of the Bank of California. You know, kind of the Jeff Bezos of his day. I mean, he dominated San Francisco business the way that kind of Bezos and Gates dominate the Pacific Northwest now. In 1867, it had become clear that the Transcontinental was going to be completed. It for a time, looked like that the granite, the hardness of Sierra granite was going to prevent that. And all of a sudden, people in Portland freak out because all of a sudden, all of that rail traffic, all of that traffic from Asia is going to go to San Francisco. And Portland, which was a small but thriving and fast-growing city, thought it was gonna be left out. And Billy Ralston had been invested heavily in Portland. And so Portland realizes it needs to attract a spur of the Transcontinental in some way, preferably from Salt Lake City. CUNO: Which you describe as the largest business concern west of Chicago and north of San Francisco. GREEN: It was immense. It controlled all of shipping and travel in a region the size of France. The entire Columbia River Basin, the Oregon Steam Navigation Company had on full lockdown. Huge timber resources in there, huge fisheries, ore, and they controlled it all. CUNO: And so what role did Watkins’ photographs play in that enterprise? GREEN: So one of the things that the Oregon Steam Navigation Company realized it needed to do was to demonstrate to Eastern government—mainly the federal government—and Eastern finance that it kind of, you know, air quotes, ‘deserved’ a branch line of the railroad. And one of the things that they ran into as a problem was that Easterners just didn’t know what the land was like, what the terrain was like. So the Oregon Steam Navigation Company needed to show people why they were in such a strong position in the Northwest. And so they, with Billy Ralston’s guidance, probably, bring in Watkins to demonstrate that. And so those pictures rank right next to the Yosemite pictures as the greatest pictures ever made in the West and in America. You can see the Columbia River cutting through these huge, you know, hundred-foot-high basalt flows. And it’s all been dammed; it’s all under water now. For Watkins, many of them—not all of them—were made specifically for the OSNC and its businesses. But Watkins never, in his entire career, differentiated between making landscapes for a commissioning body or single client and landscapes that he would sell in his gallery to anybody. That’s all one thing to him. CUNO: Yeah. Now, you just mentioned his gallery. He had a gallery called the Yosemite Art Gallery. And he gets mixed up with Ralston and things go south financially for him. GREEN: Ralston is the great patron of San Francisco everything. He owns a theater and, you know, so all of the best and great opera and theater of early California at Ralston’s theater. He’s a great benefactor of the arts; he’s a great donor to the Sanitary Commission during the war. I mean, Ralston is the Rockefeller of the West, right? You know, this is before the Rockefellers, but you know, he plays that kind of outsized business and cultural role. Ralston and Watkins appear to have had a very, very close relationship, probably both business and personally. And in the early 1870s, once the Transcontinental arrives, Ralston sees a business opportunity in doing two coincident things: extending San Francisco’s downtown south of Market Street, and in building a really big hotel for all of those Transcontinental passengers who were arriving. But so one of the problems for Ralston with this new downtown he was building south of Market Street—which is where, like, the stockyards and the meat slaughtering or, you know, butchering facilities were—was that he had to convince both tourist and San Franciscans to be willing to go south of Market, which had always been a problem. So what seems to have been Ralston’s solution was to get his buddy Carleton Watkins to build a new 6- or 8,000 square foot art gallery, right on the corner of Market and whatever street it was, but right across the street from the grand hotel, so that Watkins’ famous gallery would serve as a bridge between Ralston’s business interests and the rest of downtown. And that is, for a time, the most famous art gallery in the West, and it’s probably the most famous in America. Painters and people like Emerson, who travel west on the Transcontinental, make it a key stop. Guidebooks describe it as a place you’ve absolutely gotta go. Just after it opened, Watkins had gone up Mount Shasta with his friend Clarence King, and discovered the first glacier in North America and had taken pictures of it. So as you walked into Watkins’ Yosemite Art Gallery, on either sides of the hallway as you walked in, there would be these pictures of Mount Shasta. I mean, it was quite a dramatic thing. And then Ralston, what, four years after the gallery opens—three and a half, four years—goes bust. He’d basically been covering some revenue shortfalls by, air quotes, “borrowing,” non-air quotes, stealing from bank depositors. He’d gotten caught up in trying to take over a water company in San Francisco, and overextended himself. He tried to buy some elections, to further facilitate his takeover of the water company; and then those people he’d elected betrayed him. And so Ralston, one morning, goes for a swim in San Francisco Bay and never comes back. And the business partner of Ralston’s who controlled his debt, after his death, had so much paper, so much debt paper, that he didn’t know what to do with it. And so he simply sold it off in lots, just to get, you know, whatever he could—ten cents to the dollar, eight cents to the dollar, whatever. And one of those lots was the loan that Ralston and Watkins had almost certainly worked out for that last iteration of the Yosemite Art Gallery. And the debt for that gallery is bought up by a businessman in the foothills of the Sierra named John J. Cook. And Cook partners with a rival of Watkins’ and Watkins is left with nothing. CUNO: How does he recover? GREEN: Railroads, resort owners, mining companies, you name it. This is, you know, Darius Ogden Mills, one of the wealthiest men and America, and Ralston’s heirs and— I mean, these are the biggest and wealthiest concerns in the West. And he takes this trip in 1876, and makes amazing pictures of the Comstock Load mining districts in Nevada; of the Central Pacific Line in the Sierra; of the Southern Pacific Line, as it moves towards Southern California, what was then called semitropical California. And that begins his comeback. And then a couple years— you know, within a year or two, he has a gallery again. CUNO: Yeah. These extraordinary photographs he took of the Spanish missions in California, these— which document the beauty of the architecture, but the kinda isolation of the— of the missions. His work seems to bounce back and forth between art, science, and commerce. How did it end? How does his career end? GREEN: So Watkins is born in 1829, and his career ends in ’90, ’91, ’92, somewhere in there. I mean, it’s hard to kind of put a pushpin on the wall and say, here is the exact end. He took a couple of commissions very late in his career and couldn’t fulfill them. He was— You know, by then, he’s an elderly man, by the standards of the time, particularly the standards of the West. He was beginning to have trouble moving around. He had a bad knee or a bad hip. And then in the early 1890s, he begins to lose his sight. He begins to go blind. The great irony, that the man who showed the world the West loses his ability to see. And he still has some very strong connections in business and in other places; but as he loses his ability to move around, and his sight, and as dry plate photography, Kodak cameras and stuff come on the market, Watkins’ work and what he does becomes obsolete. He had a thirty-year career, which is pretty unusual in nineteenth century America, for an artist. By the mid to late 1890s, Watkins is broke. Collis Huntington, Watkins’ old friend, who is by now probably the wealthiest man in America, bails him out and writes him some checks and gives him some land, and just generally helps him out. Watkins, even into the 19-aughts, never stops trying to sell pictures. He sells some to the State of California. Tries to show in the Worlds Fairs in St. Louis and Portland, in the early aughts, early to mid aughts. And then Watkins is living a couple blocks from City Hall, probably below Market Street, in April of 1906, when the earthquake arrives. He gets out before the building collapses. We’re pretty sure we have a picture of him being helped away from the scene. CUNO: [over Green] Walking down the street. You see it in the book, your book, yeah. GREEN: Yeah. And he’s looking right at the camera. No one else is. Everybody else was looking up at the smoke and the burning and the bricks falling. I mean, he’s looking right at the camera, as if somebody has just yelled, “Hey, Carleton.” And he’s looked at where the voice is, even if he can’t really see anything. He suffers a further leg injury of some sort in the earthquake, and then that’s really it for him. He pretty much retires to some land that Collis had given him in the Capay Valley, right near where the Jerry Brown family has its ranch now. And within a few years, he’s blind and nearly totally incapacitated, and his daughter commits him to a state asylum in Napa, within a mile, I think, of where Eadweard Muybridge was tried for the murder of his wife’s lover. These things in California tend to lay on top of each other in weird ways. And he dies at the Napa State Asylum in 1916, at eighty-seven years old, which is an extraordinarily long life for someone of the time and place. And after that, we don’t know. We don’t know if or where he was buried. CUNO: …seem to be. What was the most difficult challenge you faced in writing the book? GREEN: This is a sorta biography; it’s not a classic biography. It’s kind of a history of the West in that time of America, and Watkins’ impact on it. But whatever you call it, it is not recommended to write a biography of a figure who leaves almost nothing textual behind. It’s very hard. It’s a probably art historians, more than probably any other kind of historian, are familiar with. So you know, the pictures make it possible. And for a photographer, they make it particularly possible. But basically, I had to study and learn about, you know, 120 or 150 people that Watkins encountered over a fifty-year period, and to piece his story together from their stories and from their interactions with him and from the pictures themselves. And I hope I did. CUNO: How personal was this quest for you? GREEN: One of the reasons Watkins interested me from the start was I’m a big hiker. And of course, I’m obviously an art nerd. And so Watkins was this marriage of my love and interest in landscape and the outdoors and of art. And these were things that I got from my mother, who died when I was a kid, when I was twelve. And so I had always thought of this as a kind of a hat tip toward my mother’s influence in my life. CUNO: To whom you dedicate the book itself. So I called my father, who lives in Oregon, and said, “Why don’t you come down? I’ll buy you dinner. We’ll get to see each other and catch up, and I’ll get some work done.” And my father, who obviously loves me very much, said, “Haven’t you done all that? Why do you really need to do that again?” And I said, “Well—” And so that day, that very day, I had been looking at an 1880 Watkins picture of Arizona Territory at the Huntington. You know, the big, giant picture, out on a table. And I’d had a magnifying glass out. And Watkins’ photographic wagon, where he kept his supplies, was in a corner of the picture. And it said on the side of it, “C.E. Watkins, Yosemite Art Gallery, W.H. Lawrence, proprietor.” So I described that to my father and I told him I’d been researching all these people in Watkins’ orbit. The next one I’m gonna research is this Lawrence guy, about whom I know almost nothing. And my father doesn’t say anything for a minute, and he says, “Is his name William H. Lawrence?” I thought that was weird. And so I didn’t reply for a second. I’m like, “Yeah.” Then my father says, “Is that William H. Lawrence of the Spring Valley Water Company?” And I again was just stunned. The Spring Valley Water Company was one of the most profitable companies in the American West at the time. It basically had a monopoly on San Francisco’s water. They had a profit margin of something like 95%. It was a big thing. And so I knew Spring Valley and I knew that Lawrence was essentially their CEO. And so I said, “How do you know any of this?” And my father says, “Oh, well, William H. Lawrence is your great-great-grandfather.” And so Lawrence is the guy who gets Watkins financially back on his feet after Ralston’s death. And I was so flabbergasted by this that it wasn’t until I was, you know, getting on a plane a couple days later and I was in the security line, where you have to hand over your drivers license and they check it with your ticket. It wasn’t until that moment that I realized that my middle name was Lawrence and that I was named after this guy who I was such a garbage researcher that I’d been writing this book for years and didn’t know I was related to a major figure in Watkins’ life. And so then, of course, I researched the whole Watkins-Lawrence connection and my family connection. And among the things I learned, which is really weird, is that my two great-grandfathers on my father’s side quite possibly were introduced to each other by Carleton Watkins. GREEN: I mean, it’s just so bizarre. And then the place where they were introduced to each other, if Watkins was the one who introduced them to each other—and I lay out in the book kind of why that’s so very possible—was on land owned by Darius Ogden Mills. And my mother grew up on a suburb built on that exact land. CUNO: Well, it’s a fantastic tale—tale of life, tale of art, tale of the history of California. So thanks so much for the book itself, and thanks for coming in and talking to us today on the podcast. GREEN: Thank you for your interest, and thank you and the staff here now and in the last ten or fifteen years, for all they’ve done to make something like book and other people’s work on Watkins possible.